As you can see, I’ve chopped off my locks in an attempt to make them look a lot healthier, glossier and almost Olivia Palermo-esque, although I honestly cannot compete! I’m still getting to grips with how to style it and I will be writing a lot of hair care posts shortly so stay tuned. I went to my hair appointment at Vidal Sassoon followed by shopping with friends and some perusing through Selfridges. 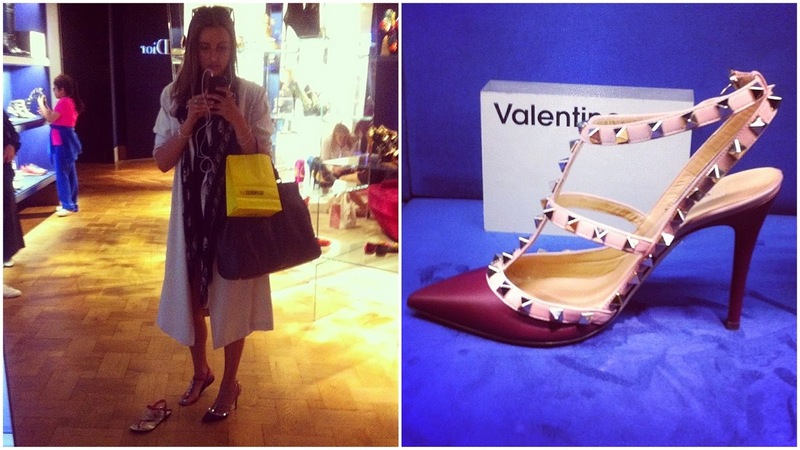 At the moment I’m totally lusting after a pair of the Valentino Rockstud pumps, which from my Instagram pictures you can see me trying on/swooning over! 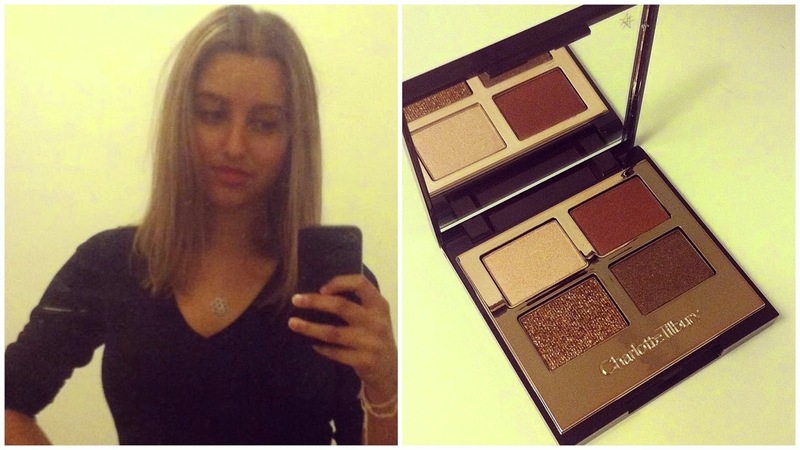 I did make a naughty purchase at Charlotte Tilbury as I finally got my hands on a much-coveted product – the Dolce Vita eyeshadow palette. It’s save to say that I’m in love. I decided to go for a pretty simple monochrome look. I wore my black v-neck sweater from Zara tucked into my high waisted black bandage skirt from New Look. I teamed that with my Alexander McQueen skull scarf and my Ray Ban Wayfarer sunnies. I’m wearing my favourite Carvela sandles and carrying my Marc By Marc Jacobs tote. I also threw on my extremely lightweight trench coat from H&M for good measure, as any Londoner knows not to leave home without either a cardigan/coat or umbrella at any time!